We are the manufacturer, supplier, trader, wholesaler, exporter & importer of Maintenance Free Earth Pit. 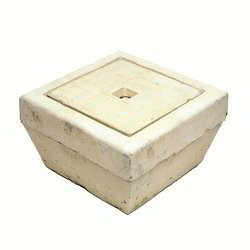 These Concrete Earth Pit is load rated and used for most of Earthing and Lightning Protection Installation. 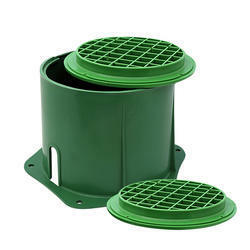 Ohmpro Concrete Earth Pits are manufactured for heavy duty industrial applications and are suitable for most type of earthing & lightning protection application. - At Top.10 inches (254 mm). - At Bottom.13 inches (330mm). - Height 10.25 Inches (260MM). We are offering a wide range of CI Earthing Cover.